Andy is dedicated to the pursuit of innovative, ecologically sensitive design solutions that are responsible to the environment. 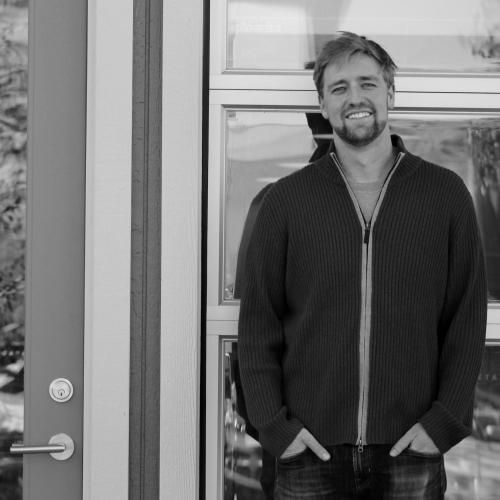 Andy focuses on green building, deep energy retrofits, passive solar design, and zero energy structures, and has an award winning portfolio of progressive building designs that are both creative and tread lightly on the earth. Ryan is native to the front range. He grew up in Lafayette, Colorado, and went to the Environmental Design program at the University of Colorado. Ryan graduated in the fall of 2007 and went to work as an architectural intern while studying as a post-graduate. He has been working in residential architecture since 2003. After working for two other architectural offices, Ryan landed at DAJ Design at the beginning of 2009. He is interested in many areas of design from buildings to furniture, and believes in a holistic approach to his work so all aspects live harmoniously together. Abe came to Colorado from the midwest in 2008 to attended the University of Colorado where he studied Architecture & Environmental Design. Upon graduation he worked at various firms around boulder until finding his way to DAJ in 2015. Contributing his passion for design and project management skills he has become a vital part of the DAJ team. He has been working in the field of architecture since 2012 . In his spare time he enjoys being outdoors rock climbing or fly fishing and is a part time wood worker. Bina brings her artistic eye in interior design to DAJ and is an integral asset in taking many projects that come through the office to the next level. Bina holds years of experience in the ever changing design field and prides herself on maintaining an abundance of knowledge on current design trends as well as the timeless classics. She strives to bring continuity and dexterity to each project she collaborates on. In her 3 years working with DAJ she has garnered an extensive list of references and the reputation for always being a leading team player on every project.